Expand search to view more listings in and around Woodcliff Lake. See more offices in and around Woodcliff Lake. 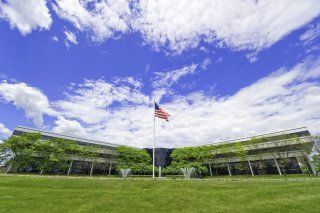 To help you find the best location for your next Woodcliff Lake office, the Offices.net site allows you to quickly find and get the critical information about each one quickly and easily. We have an extensive range of buildings available, most with flexible rental terms that can be tailored to your company's needs. The Offices.net service was created to help companies find new premises as easily as possible. Flexible contracts and competitive pricing allows buinesses of any size and budgetary requirement to find a location in Woodcliff Lake that is perfect for them. Our team works hard to ensure that the process is as easy as possible for the companies we assist. We would love to help you find your perfect new offices. All you need to do is to select one of the offices for rent in Woodcliff Lake shown on this page. The office space listed on Offices.net is in a prestigious business location, and is available for rent on flexible terms.